I am positively in love with the Criminal Elements series! This installment puts us into the headspace of Rook, the sarcastically unflappable crow shifter / computer hacker. Told in first person with stabs of hilarious inner dialogue, Fly by Night is super fast paced. Only a couple months have passed since our rag-tag group met with misadventure and betrayal in Seattle. Rook has returned to his home turf to lick his wounds and try to salvage his ‘professional’ reputation. It’s a tall order, made even more difficult when Rook starts hearing voices. Unsure what’s happening, he calls the only person he can still count on for help. When Carlos (aka Medium) arrives, he can tell something big is happening to Rook, something outside their ability to understand, let alone control. 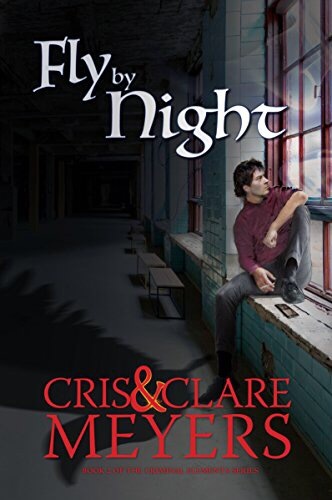 Medium suggests more experienced assistance but that’s a call Rook refuses to make… until Medium winds up in the crossfire and the young Talent’s life is put in jeopardy. Watching Rook eat crow (so to speak) was highly entertaining. Hat in hand, he has no choice but to get the band back together. But gathering the Seattle team in one place comes with it’s own dangers as enemies from both Rook’s and Stone’s past come out of he woodwork with deadly consequences. I was devastated when I got to the end of his book and realized the ride was, for now, over. To be honest, Rook was my least favorite character from the first book. But in book two he REALLY shines. Sure, he’s still sarcastic as hell, but getting a bird’s eye view of his life really helped put things into perspective. And watching him try to repair bridges… okay, more like rebuild them from the smoking rubble of Seattle… with Grace, Renee and Stone was painfully realistic. Once again, I appreciated the way characters’ use of their Talents and shifting was moderated. The fantasy element is mitigated with realism in such a way as to create a palpable realism. I can picture these characters living, breathing, and walking down the sidewalk beside me. The world Cris & Clare have created is totally addicting! Strap yourself in and prepare for a wild ride. If you haven’t read the first book, Playing With Fire, you can read my review HERE. Then get your hands on the series, available on Amazon HERE.